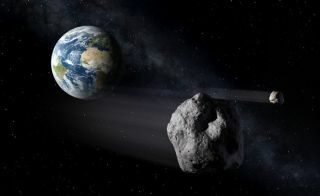 Reports that an asteroid will pose a serious threat to Earth on Christmas Eve are unfounded, NASA official said. Here, an artist's depiction of an asteroid flying close to Earth. Images of asteroid 2003 SD220 taken by the Arecibo telescope in Puerto Rico in December 2015.